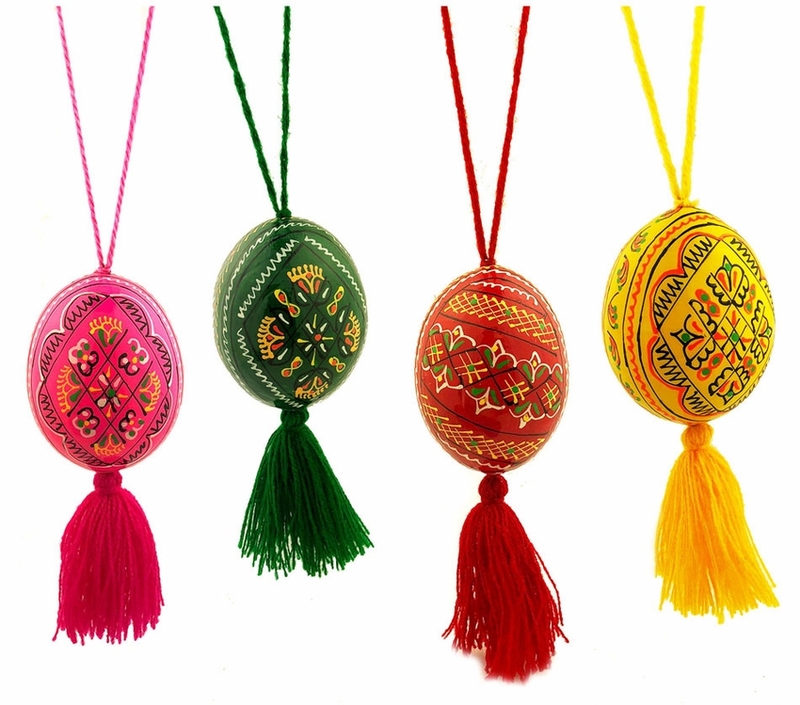 Hand painted in Ukraine, these beautiful eggs are intended to celebrate the Resurrection. It is an Easter tradition to hang eggs from chandeliers and icons to celebrate the feast. SOLD BY SET OF FOUR. The picture shows color variations. Size of the each egg 2 1/2", size including rope: 13"
Price for 4 eggs on rope. Dark Red Pysanka Easter Wooden Egg on Plate, 2 3/8"
Set of 10 Assorted Ukrainian Pysanky Wooden Eggs, 2 5/8"